Best location, Clealiness and Staff Members were really very helpful. Dear Sir; I am fully satisfied with this hotel facility, except restaurant service as you can't find tasty non-veg food around this Hotel. However, this is best hotel as I ask for anything they always ready to help me with smiling, including fast wifi internet, Air-Ticket printout, early morning Breakfast even before ideal time for breakfast at 4 O'clock they arrange for me. 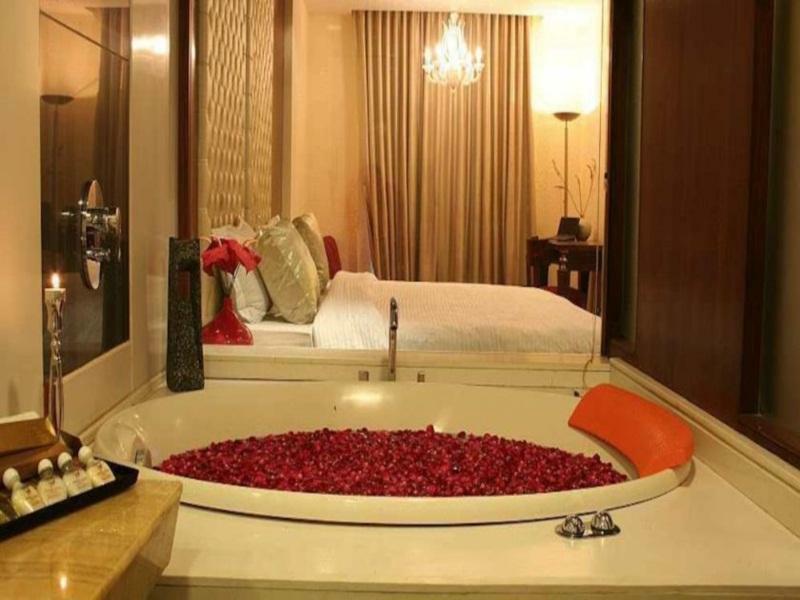 Of course when I travel to Delhi in future surely will stay again in this Hotel with family and also recommend all friends and customers to enjoy your family holiday with stay in this Hotel. Hotel was nice enough, good location, and decent facilities with a semi-working gym. Wifi is really really patchy in the room, the only way to get a decent signal is when I'm right at the door... Staff kept on advising me that I will be moved to another room every day, so I didn't get the chance to really unpack and had to pack up every morning. Electricity went out a couple times during my stay as well. Just an ok hotel, there are plenty other hotels on the same street with better outlook. Small street with crazy tuk tuk zipzapping and little vendors everywhere. Small room. Hot water is shutdown after certain time at night! Voices and sound from the next room are clearly audible through the aircon vent. Window opaque and sealed shut. Breakfast on the 4th floor was mediocre but nice view of the streets below in the early morning 19-20 degrees with less noise from traffic. The hotel is in front of the railway station. It was mess around outside hotel. But fortunately the hotel looks "clean". We've insisted room service change the bedclothes because we have seen sb. 's hairs on our bedclothes. Expert this, everything is good. Good wifi, Good service. Room is pretty clean, big and comfortable. Bed is a little short than standart, but it's ok. Refrigerator didn't work. The water wasn't warm enouth to take a good shower. Nice staying for one or two nights only. 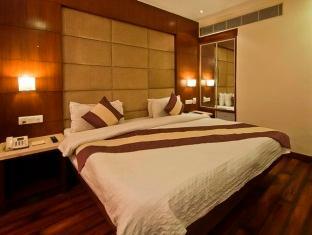 Hotel is located in center of Delhi and nearby Railway and Subway. People are very friendly and polite. Helping in all situation.Room was good and clean. only problem was hot water at late night, we requested then we got it in shower after 10 minutes. Travel desk helps a lot in Delhi -tour also we traveled to Agra. Manager was kind and friendly with Helping attitude. Building and lobby was impressive . Room too. spent a good at Aura. Also they are good at travel assistance . Organised city tour at good rate.Over all nice and recommending. Unbelieveably bad. Hotel has seen better days but now is falling apart. No maintenance to try and save money. Bedsheets are turned over and not changed. guests are allowed to smoke on any floors which caused ventilation problems. It is shame as structurally the hotel is fine - just that the new owners just refuse to spend any reinvestment cash. they even turn off the hot water at certain times just to save cost!! My last night there I was close to choking due to the cigarette smoke and the bad winter air outside due to rubbish burning etc. food (not breakfast), nice room, quite helpful staff. On arrival there were no twin rooms available but the staff very quickly gave us a family room for our first night until we could move into the twin room. The rooms were very comfy and clean . Room service was extremely slow but the food was delicious. Breakfast was disappointing and not a lot of variety. I HAVE TRAVELLED TO INDIA IN SEPT. 2013 TO ATTEND AN ACEDAMIC CONFERENCE AND SO HAS TO BOOK AN ECONOMY HOTEL.I CHOOSE AURA AFTER CAREFUL LOOKING IN THIS WEB SITE.THE HOTEL IS CENTRALLY LOCATED NEAR THE MAIN STATION IN DELHAI WITH EASE ACCESS TO ALL LOCATIONS INCLUDING AIRPORT USING THE METRO.MY EXPERIENCE OF THE HOTEL WAS GOOD NOTHING DISTRUBED MY VISIT,THE ROOM SIZE IS GOOD, CLEANED DAILY AND TV WITH REASONABLE CHANNELS.I WOULDN'T HESITATE TO BOOK AGAIN AURA,THOUGH I WOULDN'T MIND FEW DAYS IN ONE OF INDIA LUXIOURIOS HOTELS IF I CAN AFFORD IT.ALL IN ALL I WOULD SAY THE HOTEL DESERVES A GOOD MARK.FORGET TO SAY I WAS SLIGHTLY CONFUSED BY THE CONTRADICTING COMMENTS IN SOME OF THE HOTELS.BY THE WAY I TOOK THE METRO FROM AIRPORT TO MAIN STATION AND THEN A SMALL RAKASHA FOR 80 ROBBIE TO THE HOTEL AND USE THE METRO FOR MY VISIT WHICH IS CLOSE TO THE HOTEL.BY THE WAY YOU WILL FIND MOST OF THESE HOTELS VERY CLOSE TO EACH OTHER, AS MOST ARE IN THE CITY CENTER. 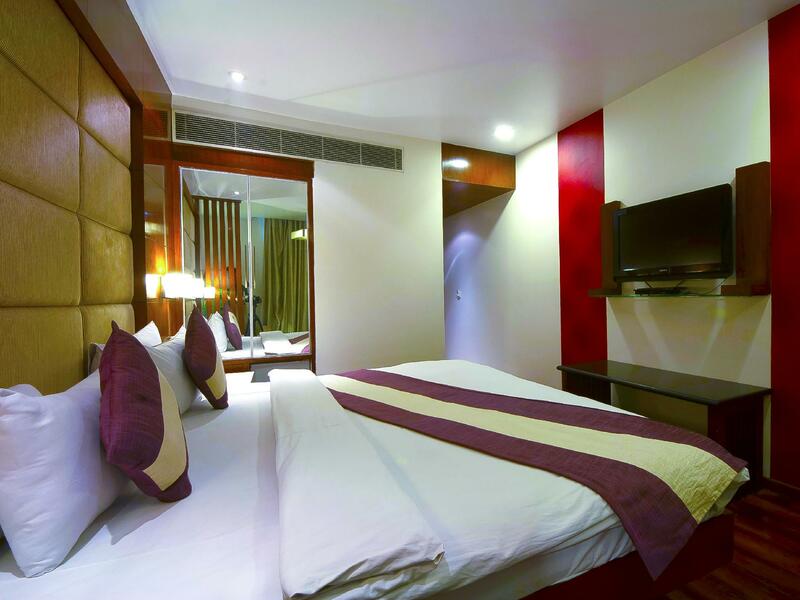 This hotel is the perfect choice as hotel is close to train station and connought place.Room has very comfortable bed.hot water available all the time during our stay.We had candle light dinner at Rooftop Restaurant.Room bathroom everything were clean. 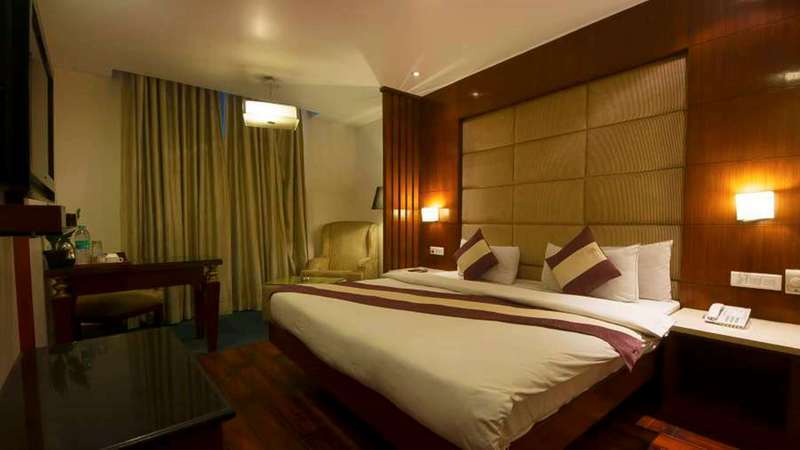 Hotel is located in old part of Delhi which is very busy.Once we entered in to hotel, room its very good, very clean.We booked hotel conference hall.staff arranged everything professionally and on time.food was just fabulous.This is very good hotel if you are a business traveler and wants space for meeting.Room bathroom were very clean and well kept. very nice hotel in the middle of town, they had a big family room (4 people)which is very hard to find! customer service was great and the hotel restaurant serves good dinners. Room was cleaned every day. 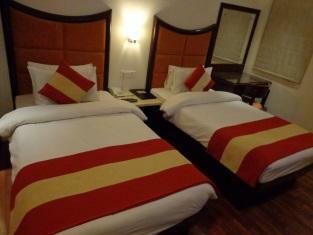 We booked one night initially and stayed 4. We booked one night and stayed 4 nights! Great hotel centrally located with lots of city transportation available. We reserved the family room and it was great! 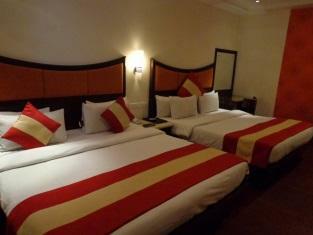 Nice modern room with 2 king beds, very clean and great hotel service. The upstairs restaurant has great menu for dinner and the food is excellent! We would highly recommend this hotel for those with a family or single. We looked at several other hotels in the area (and there are many!) and Aura was definitely the best! Hotel management is very accommodating. The price is very reasonable and it includes breakfast and one way airport transportation. Attentive staff of this hotel made our stay Amazing.Room was very clean with extra large bed.Work desk.Super fast wifi connectivity.breakfast and restaurant was really tasty.Hotel arranged buffet lunch and dinner with variety of foods in veg and non veg.This is true great value hotel.I can thoroughly recommend this hotel to our friends and family members. Hotel is located near Main train station.Staff is ready to help.Tour to Agra and Jaipur was memorable one at very affordable price.Our room was well clean with bathroom attached.Wifi veri fast.Breakfast was very tasty and was included with room price. สถานีรถไฟ New Delhi - ระยะ 0.78 กม.